Bellafill is an FDA-approved dermal filler that’s used to correct depressed acne scars and nasolabial folds, commonly known as smile lines. Effective for both men and women as well as for all skin types, Bellafill is a safe permanent filler for moderate or severe facial wrinkles, lines, and creases. Bellafill is unlike many other dermal fillers on the market in San Diego. First, it is non-resorbable. This means that the body doesn’t eventually absorb the filler, ensuring that injections are not required to maintain the final results. Second, Bellafill is permanently implanted into the skin to correct unsightly lines and creases around the mouth and acne scars on the cheeks. Bellafill is a permanent solution to wrinkle problems using a mixture of enhanced bovine collagen and the topical anesthetic lidocaine, which is made from microspheres of a synthetic material called polymethylmethacrylate (PMMA). 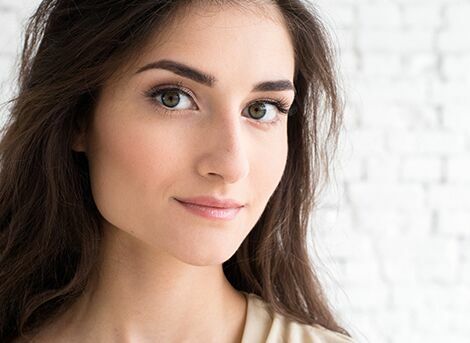 As a result, patients are required to undergo an allergy skin test before their first Bellafill dermal filler injection to make sure they are not allergic to the lidocaine or collagen. About four weeks later, once the test results confirm that the patient is not allergic to the Bellafill ingredients, he or she can undergo this anti-wrinkle treatment. The dermatology specialists at Cosmetic Laser Dermatology in San Diego use an ultra-fine needle to inject Bellafill into the skin. The very first treatment immediately gives plumpness and volume to the skin, helping to reduce the appearance of wrinkles and acne scarring. Although the microspheres of polymethylmethacrylate (PMMA) in Bellafill are not absorbed into the body, the collagen is, which provides instant volume for your face. The PMMA remains permanently in place and creates a foundation that results in smooth skin. This allows for the dermal filler treatment to last longer than most other micro needling procedures. The Bellafill procedure is simple and short and requires almost no downtime. Patients can drive themselves home or back to work and resume their normal daily activities on the same day they receive this dermal filler treatment in San Diego. For both acne scars and nasolabial folds, Bellafill results have been proven to last indefinitely thanks to its unique structure. Unlike other dermal filler products, Bellafill will not need consistent touch-ups. ncbi.nlm.nih.gov explains how Bellafill can treat acne scars. A: According to the manufacturer Suneva Medical, Bellafill was found to be exceptionally safe through five years of testing during the largest, longest dermal filler study ever conducted. Q: Is Bellafill Right for All Types of Wrinkles? A: It is well known that Bellafill effectively treats acne scarring and deep nasolabial wrinkles. However, many patients ask if the permanent dermal filler is also effective for treating wrinkles caused by repetitive movement, as well. For dynamic wrinkles – those caused by repeated facial movements, such as frowning or squinting – Bellafill is not recommended. Instead, it is a better treatment for those suffering from wrinkles or folds due to volume loss from aging. For patients who want a longer-lasting solution to their facial wrinkling or scarring, Bellafill is the safe, effective treatment many patients have been looking for. Some more information can be found at bellafill.com. Q: How Long Does Bellafill Last? A: Bellafill is designed to do more than just “fill” in the open spaces beneath your skin. Instead, it restores your face’s natural fullness and volume. Therefore, results are more effective and longer lasting than those produced by other dermal fillers. Q: Are There Any Side Effects With Bellafill? A: Within the first 24 hours of treatment, patients normally experience redness and mild swelling around the injection site, but this usually recedes within a day or two. Patients also may experience bruising, pain or soreness, tenderness, and itching, but they are all usually mild and disappear within a week. Less common side effects include lumps, granulomas, and persistent redness or swelling at the site. Some patients have also reported developing a rash and itchiness more than 48 hours after treatment. When it comes to choosing the appropriate wrinkle treatment, many options exist. Alternatives to Bellafill include temporary fillers include Voluma and Restylane.